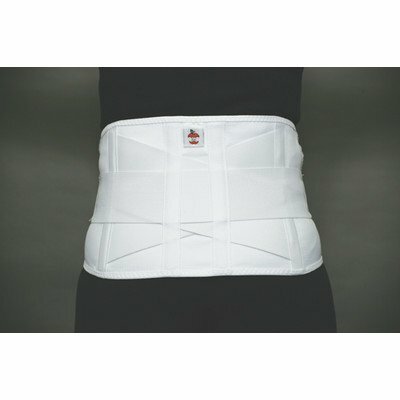 LSB-6062-XL Size: Extra Large Features: -Dual Pull Elastic Crisscross Lumbosacral Belt. -Material: Highest-quality plush elastic. -Support and versatility make this one of our most popular belts. -Dual elastic side pulls and a high, reinforced, criss-cross back for high compression and support. Product Type: -Back. Generic Dimensions: -Height: 9''. Dimensions: Overall Height - Top to Bottom: -9 Inches.